Audi has made blind-spot monitoring and power-folding mirrors standard equipment on the 2014 S6, and the all-new Black Optic package is now available to further enhance the already-impressive curb appeal of the 2014 Audi S6. When a vehicle carries the moniker of a super sports sedan like the 2014 Audi S6, you have to have performance and styling to match, and the 2014 S6 does in spades. The standard 19-inch wheel and LED running lights complete an aggressive stance that is created by sleek side panels and famed Audi design cues. The 2014 Audi S6 is powered by a single, more-than-capable engine that warrants the super sport designation. Under the hood is a twin-turbocharged 4.0-liter V8 that pumps out 420 horsepower and 406 lb-ft of torque. 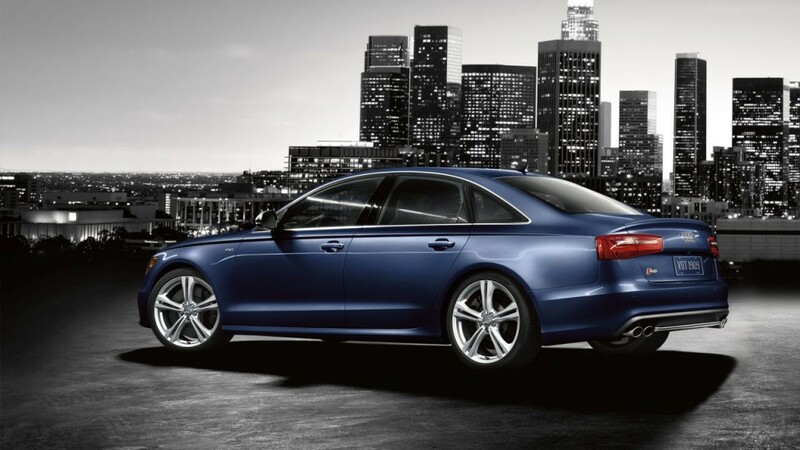 The impressive performance figures propel the 2014 Audi S6 from 0-60 mph in just 4.5 seconds. The 2014 Audi S6 utilizes only premium materials to deliver one of the nicest cabins in its class; technology is plentiful, but the focal point is definitely the Audi Connect Internet suite, which boasts in-car WiFi and Google Earth information for one of the best navigation systems available. The 2014 Audi S6 will keep occupants safe in the event of an accident with its comprehensive airbag system, but it also aims to prevent them with the Audi Pre-Sense Plus collision mitigation system, which warns the driver and automatically applies the brakes if a crash is imminent. Lane-departure warning along with front and rear parking sensors also aim to prevent bumps and scrapes.